This mode of operation is possible since candle filters may operate on very short cycle times taking advantage of the high filtration rates whilst the cakes are still thin. One of the features of candle filters when used for thickening is their clear filtrate since gravity thickeners, in analogy, produce overflows which always contain a certain amount of fine suspended solids. During the filtration, which takes place in a pressure vessel, the liquid is pressed from the outside through the filter medium. Solid connect on its surface and form a uniform cake. The cake remains on the filter elements due to their concave-convex profile and a continually maintained pressure differential across them. When the pressure drop to the set valve, inlet and outlet valve turn off. 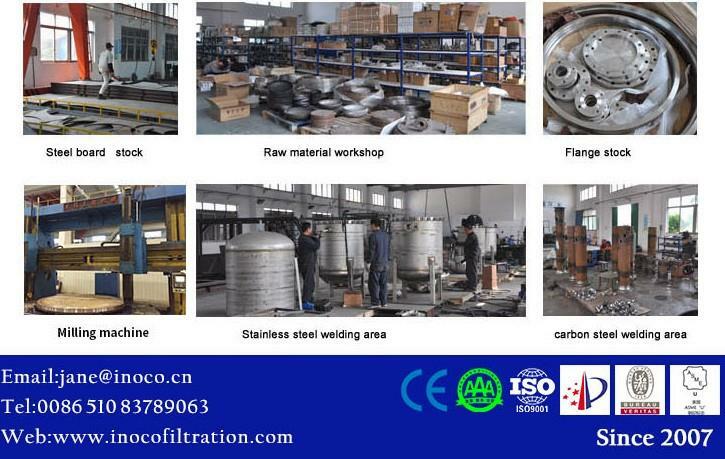 Compressed air flow into the filter and dry the filter cake, in the backwashing processing, the particle will be removed, and the filter element could be regenerate. Another feature of Candle Filters is the cylindrical shape of the elements that retain the formed cake. This shape, opposed to Plate, Leaf or Filterpresses, increases the filtration area as cakes grow thicker and compensate to some extent to the decrease in filtration rates. Candle Filters are very well suited for handling flammable, toxic and corrosive materials since they are autoclaved and designed for hazardous environments when high pressure and safe operation are required. Likewise, they may be readily jacketed for applications whenever hot or cold temperatures are to be preserved. These features are not possible on Filterpresses which require the opening of plates to the atmosphere by one to allow cake discharge at the end of each cycle. ￭ Adapts readily to slurry thickening. ￭ Mechanically simple since there are no complex sealing glands or bearings. ￭ The filtered solids are dewatered and discharged by gas blow-back, filter cake can be used for reaction. ￭ This filter type allows continuous filtration without interruption of flow; the solid are flushed back into the liquid and dischared in slurry form, this filtration process mainly applies for processes where contious flow is required. a. Are you a manufacturer, trading company or a third party? A: We are a manufacturer, and we have builded up our company since 2007.
b. What is your minimum order quantity, can you send me samples? 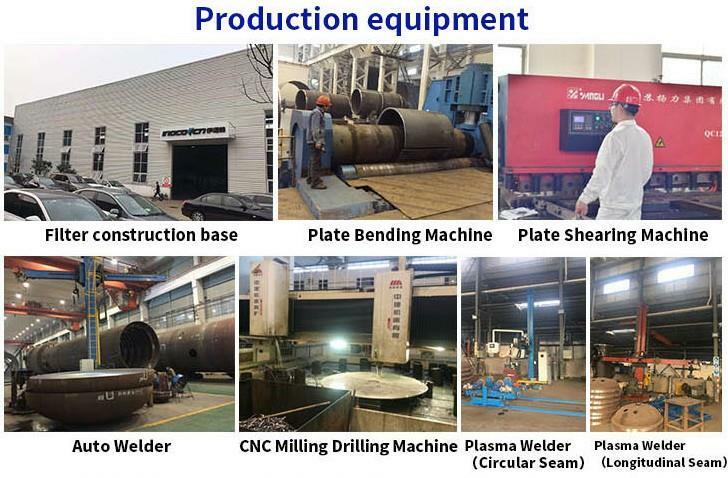 A: Our minimum quantity is 1 set, as our product is machinery equipment, it’s difficult to send you samples, however, we can send you catalogue, warmly welcome you to come visit our company. c. Which level of quality are your products? A: We have got CE, ISO, SGS, TUV, Rosh, ASME certificate so far. d. As the shipping period will take long time, how can you make sure the machine won’t be broken? 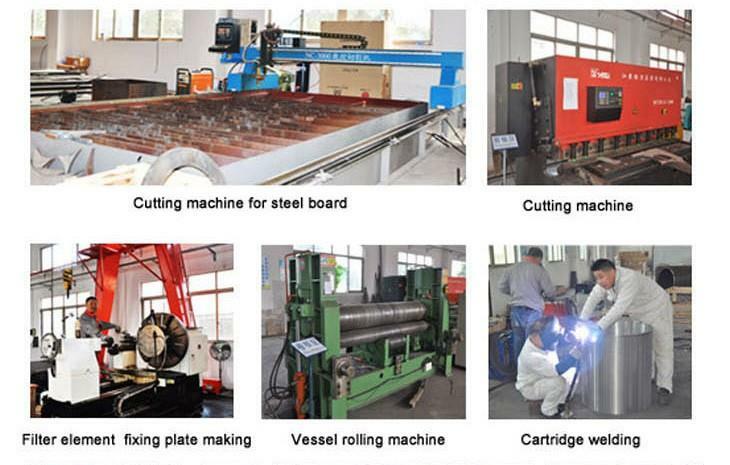 e: Our machine is film wrapped, to make sure the machine can be delivered to our customer smoothly, we will use the steel wire to fix the machine with the container.